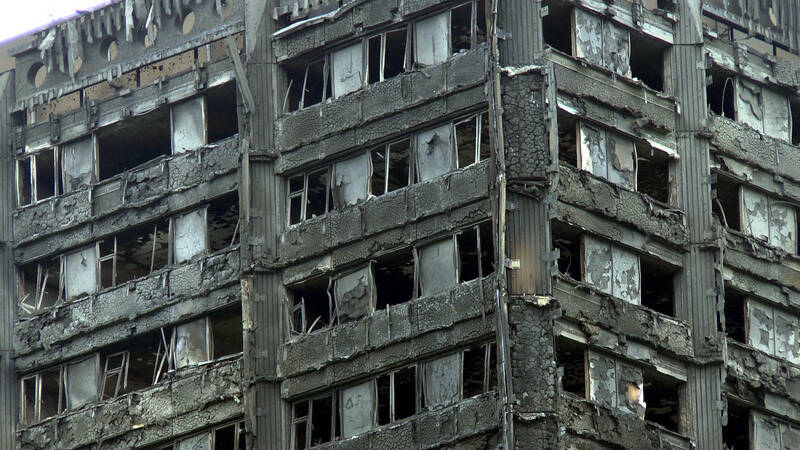 As an inquiry into the fire at Grenfell Tower that killed 80 people gets underway, the long-standing concerns of its residents are now coming to light. Residents of the London apartment had noticed the building was missing fire alarms, sprinklers, and a fire escape. There was only one means of egress, a single staircase. And then there was the flammable aluminum cladding (known as Reynobond PE) that has since come under particular scrutiny. Most building codes in Toronto forbid structures taller than four to six storeys from using combustible cladding. But Toronto Fire Services still conducts annual evaluations on all high-rise buildings to test their adherence to the fire code. The public is notified about serious violations through online notices, once the file has been closed by fire services. But let’s say you’re a resident of a high-rise condominium and you’re curious about how your particular building fared. When Mark Legate noticed what looked like a fire code violation — an exit blocked by construction in his North York building — back in April 2016, he called the fire department … Legate followed up with both the fire department and the city of Toronto but was told that, as a tenant, he had to make a formal freedom of information request to learn what happened. Because of the time and money involved in the cumbersome process, Legate called it quits … But after fighting through red tape for more than a year, he’s still in the dark about the results of that inspection. It turns out that those fire inspection reports are made available to landlords, but not tenants. Finally, last week, after a nudging by Matlow, Toronto Fire Services vowed to make fire inspection reports publicly available by the end of the year. It will include all the findings from the 2017 inspections, the nature of any violations and the date they were resolved. TFS requested money for the project in their next budget, though the exact form of the open data remains to be seen. Civic Tech may return to the topic once we know more.